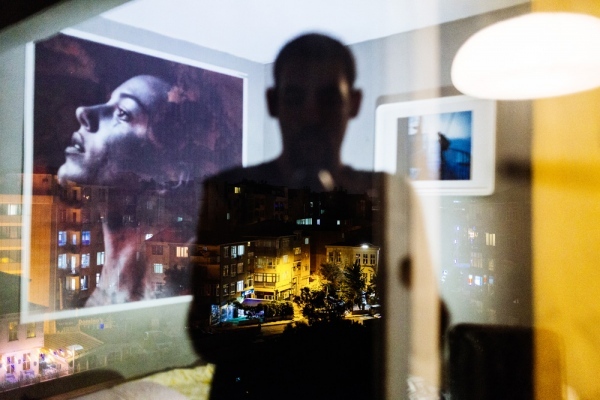 Khashayar Javanmardi (Kjavanmardi), a self-taught photographer born in 1991, Iran then based in Istanbul in 2016. He educated Art and Architecture from Guilan University, he began working professionally in the Iranian press at the age of 20, at the Jam Photo Agency. At the age of 24, he got three years in a row The Iranian Emerging Talented Photographer of the year. In 2014 he started the project the Iranian 90’s generation besides that immigrated to Turkey in 2016. Also covering a documentary about the railroad’s witness and the 4th wave of Immigration phenomenon of Iran. Khashayar (Kjavanmardi), works on his personal documentary projects. His work ranges from stories of social efforts to portraits and essay projects on self-experimental topics.